Straight waistband, 5 pocket styling, button fly closure. Light pewter metal button with two tone rivets. Contrast tobacco stitching with tonal embroidered back pockets. 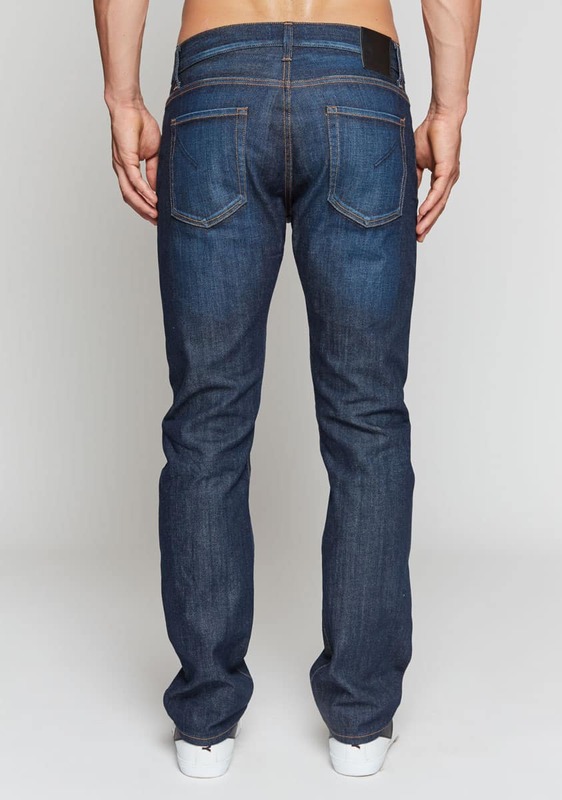 Dark indigo wash with whiskering and fading for a true denim look. If you must…Machine wash cold.